In the statement of Sikyong (the political head of Central Tibetan Administration based in Dharamsala, India) Dr. Lobsang Sangay on 23rd Anniversary of Conferment of Nobel Peace Prize to His Holiness the Dalai Lama, May 17 has been declared as a Tibet Solidarity Day. 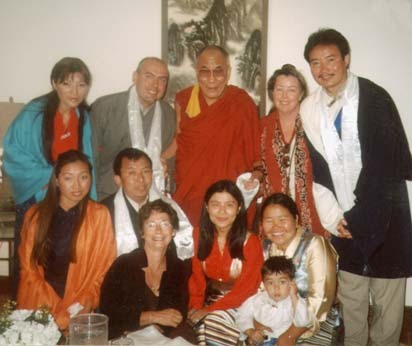 On that day in 1995, the six-year-old boy, Gendhun Choeky Nyima, who was recognized by His Holiness the Dalai Lama as the 11th Panchen Lama, was taken into custody by the Chinese authorities and has not been seen publicly since. To mark this day, San Francisco Regional Tibetan Youth Congress (SFRTYC) is hosting Tibet Solidarity Freedom Concert featuring extremely talented line up of musicians including Chaksampa, the Tibetan dance and Opera Company, Tsering Lodoe, the former Tibetan Institute of Performing Arts (TIPA) artist, and Tenzin Ngawang, the former TIPA artist and the Melong Band member. 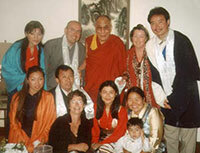 The concert is dedicated to His Holiness Gedhun Choekyi Nyima, a stolen second highest reincarnated lama of Tibet. Furthermore, the concert also aims to showcase the richness and diversity of our culture and tradition to the general public through Play-act, Traditional dances and Music. We will also have the presentation on the Tibetan Contemporary Arts by Ang Tshering Sherpa, a well know Tibetan artist. One of his costly printings will be auctioned on the night. Through this medium, we are trying to encourage younger generation of Tibet to appreciate and learn our unique culture, and pass on the legacy to our future generations. We believe that preservation of Tibet's unique culture, language, and religion are inevitable to sustain the Tibetan freedom struggle. I sincerely hope and believe that Tibetans community in Bay Area will support us with the effort as your participation means great deal to us. Your support fuel us to do more for the greater cause of Tibet, and we are so much grateful for unwavering support that we are receiving from the community. Lastly, please let us know if anybody would like to sponsor the concert in any capacity for the greater cause. Never ever hesitate to contact either me or any other board members of SFRTYC.